Format corrupted ADATA S102 USB 3.0 flash disk that have format errors.Download ADATA S102 recovery tool and restore your flash drive . ADATA S102 USB 3.0 flash drive is one of the newest ADATA flash drives products that offers a high data read speed up to 68 MB/S and data write speed up to 30MB/s .ADATA S102 USB 3.0 stick comes with new shape dimension of 71.8 X 18.6 X 10.6mm with aluminum cover and USB 3.0 Chip controller .ADATA S102 USB 3.0 Flash disk available in three capacities 8GB to 32 GB . There is another product hold the same model but with more speed called ADATA S102 PRO USB 3.0 flash drive For further details about ADATA S102 USB 3.0 pendrive you can visit the official site of ADATA flash drives products from here > ADATA S102 USB 3.0 flash disk << . 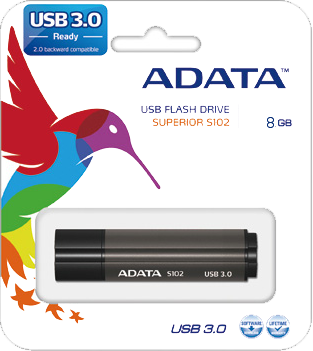 ADATA S102 USB 3.0 flash drive recovery tool is designed to format corrupted ADATA S102 USB 3.0 stick that have Innostor chip controller .If you have format errors with ADATA S102 USB 3.0 flash drive ,first you must determine flash vendor and must be Innostor IS-902 .You can use Chipgenius software or USBDeview V2.30 utility. How to format ADATA S102 USB 3.0 Stick? Download ADATA S102 USB 3.0 Innostor IS902 MP Tool v2.05 from the download links in the end of this article . Insert corrupted ADATA S102 USB 3.0 flash drive to your PC. 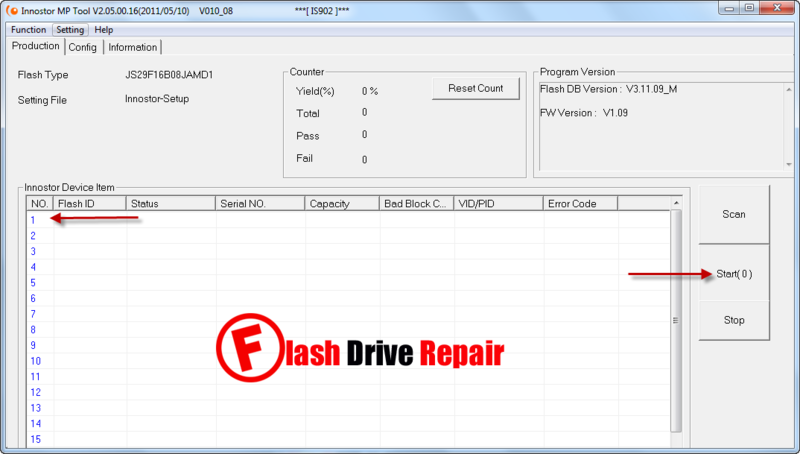 Open Innostor_ IS902 _MP_Package_V010_08.exe and you will see your flash drive information appears on the software interface if your flash drive supported .